Even if you own the best oil pastels, they won’t be able to showcase their true abilities if the paper you are using them on isn’t that good. Quality crafted paper designed for oil pastels should feature an ample tooth for the pigment and binder to latch on to, have enough weight to resist tearing, is acid-free for archival purposes, and should be able to easily hold a few layers of the medium – like the Canson Mi-Teintes Drawing Papers. While we will get to the reviews of all the best papers for oil pastels in just a minute, we first want to compare all the papers we will be looking at today along with a buying guide that outlines a few key considerations that you should think about before purchasing a paper for your oil pastels. Lastly, we will also answer a few common questions that we found that many artists had while researching the top brands. If you are looking for a quick comparison and recommendation of the top oil pastel paper brands, we put together this table to help guide you. The most important quality of an oil pastel paper will undoubtedly be the tooth and texture of the paper itself. What makes pastel paper truly unique is that it has a far greater tooth than your standard sketch or copy paper. This allows the oil pastel to latch on effortlessly and not really budge (unless blending) once it has been placed. When a paper has ample tooth, you can easily add a few layers of pastel on top of each other and really create stunning pieces of work. So, while it might be tempting to use a mixed media or drawing paper in lieu of a proper pastel paper, know that the results are likely going to be not as consistent, and you will lose a bit of control over your medium. 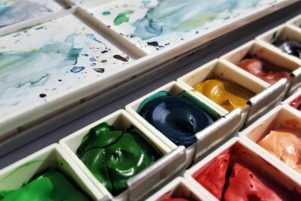 Just as you would apply an initial wash when doing an oil or acrylic painting, the same color theory holds true when working with oil pastels. Should you find yourself gravitating towards landscape or general outdoor pieces, then you will want to get an oil pastel paper that has these tones (i.e. shades of brown or green). Most quality art companies know this and do sell pastel paper specifically for earth tones. Toned papers are a great way to set the initial color scheme for your oil pastel piece and can result in some breathtaking results. So, take a minute to think about the pieces of work you have planned and purchase the appropriately toned oil pastel paper. 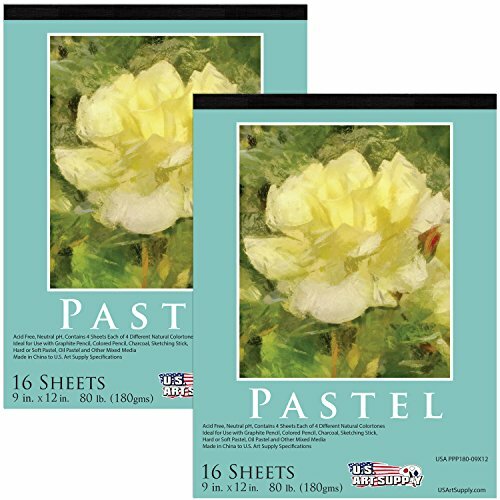 Unlike most other paper surfaces, pastel paper is sold both individually and as a pad. Naturally buying in bulk, or in this case a pad, will be significantly cheaper than purchasing paper on an individual basis. However, be that as it may, if you are looking to experiment across a few different tones and don’t want to get an entire pad that is just gray tones, picking up an individual sheet may make sense. 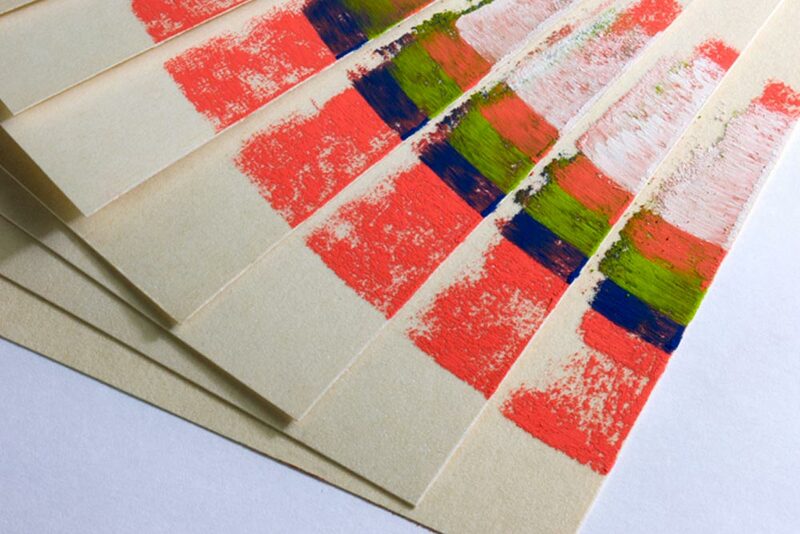 Just like oil pastels, purchasing individual sheets does allow you to test across brands – making it cheaper and easier to find the perfect brand that compliments your own unique artistic style. One distinct paper within the world of oil pastels you will often see are those dubbed as sanded. Sanded papers are much more akin to sandpaper and offer a strong grit. Like sandpaper, sanded pastel papers are often categorized by their grit number. Generally speaking, sanded pastel paper will go between 240 and 800 grit (with the higher number being finer grit). So, if you want a sanded paper with vigorous grit for your oil pastels, go with a grit less than 400. Every paper we will be reviewing today is acid-free. This means that it won’t yellow or crumble with time (so long as its preserved properly). Unlike watercolor paper that can be rated at 300 gsm, oil pastel paper doesn’t have to be too terribly heavy. Most brands typically make their paper around the 160 gsm (98 lb). However, papers that are much lighter may be susceptible to tearing. 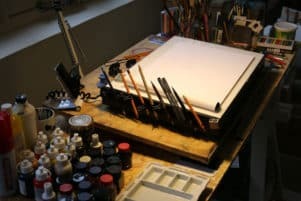 While this might not be too important when making the initial strokes on the paper with your oil pastels, should you be pressing firmly with your favorite tortillon or blending stump, you may want to exercise some caution should the paper be too thin. Only found in the highest end brands on the market (i.e Sennelier), glassine is a smooth surface that is perfect for preserving your oil pastels. If you plan on doing most of your work in a studio and will be mounting your oil pastel paper to a drawing board or art desk, then don’t worry about getting a pastel paper with glassine. However, if you plan on taking your oil pastels out in the field or to and from class, then you will want to consider this. Glassine, when pressed on your pastel piece, won’t move or alter the oil pastel. This can be great as it removes the requirement of a fixative. As you will see in the product descriptions found on many online art retailer websites, pastel paper is fairly versatile. 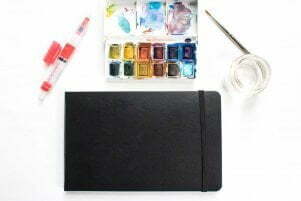 While not a mixed medium paper, oil pastel paper can also be used for soft pastels, pencils, and light acrylic and watercolors (remember it’s not rated at 300 gsm – so it will need to be stretched to prevent warping). If you are an artist that is still testing out oil pastels, this is great as you don’t have to worry about purchasing a specific use case paper. The biggest sticking point when it comes to art supplies is the price. While most art supplies are bucketed into two main categories (i.e. student and artist grade), pastel paper reaches across both of these categories. While we were able to find a few value picks on our list, if there was any area to splurge, it would be with paper. Quality oil pastel paper can make even the most inferior oil pastels really shine. Considering that brands like the Canson Mi-Teintes and Sennelier Oil Pastel Card Pads are only a little bit more expensive than generic off brands – we would strongly recommend going with a trusted brand that is simply a better (and well tested) product when possible. 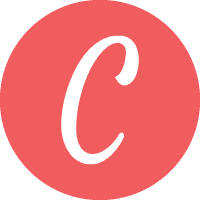 Whether it’s through their quality watercolor paper or drawing paper, Canson is a brand that is deep rooted in the art world. With a 450 year old history of making a lineup of assorted papers and surfaces for the best artists, they are hands down the leading authority in this arena and are unrivaled. So, does their Mi-Teintes Drawing Papers carry on the Canson legacy forward? Many oil pastel artists give this a resounding yes. The Mi-Teintes line is the gold standard when it comes to your oil pastels. With the ability to make even the most mediocre of sticks truly shine, there is a lot to love about this surface. First and foremost, the tooth. With a deep-set tooth, the pigment and binder in any oil pastel should have no problem latching on to the surface – giving you much greater control as an artist. Secondly, depending on the amount of pressure you apply with your pastel you should be able to easily work up a few layers. Tooth aside, another detail that sets the Mi-Teintes pad of papers aside from others is texture variety. Both sides of the pastel paper offer distinctly different textures (rough vs. fine). So, if you want to alternate between the two when working with pastels or find one better than the other for your artwork, then it’s a great option to have. Available in two size (9” x 12” or 12” x 16”), you can find one that suits your preference. Should you be looking for a smaller scale, you can easily cut this paper to size for its intended use. Lastly, and perhaps the best part of this pastel paper is the tone. With 50 colors available, you can select the perfect tone for your artwork. The Canson line is sold both as a pad (they offer assorted tones, earth tone, and gray tone) and individually. 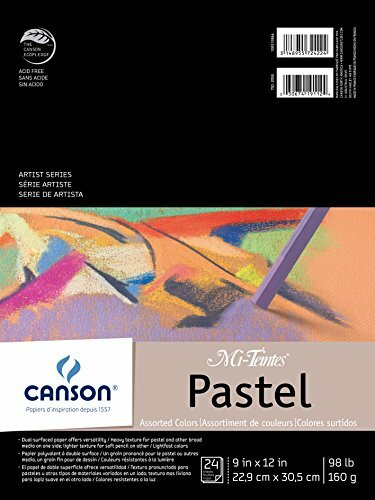 Overall, while priced at a slight premium compared to others we reviewed, this oil pastel paper by Canson is simply one of the best picks on the market. The wide color selection coupled with the quality tooth and texture are second to none. Ideal for quick studies and technique work is this value pick by U.S. Art Supply. 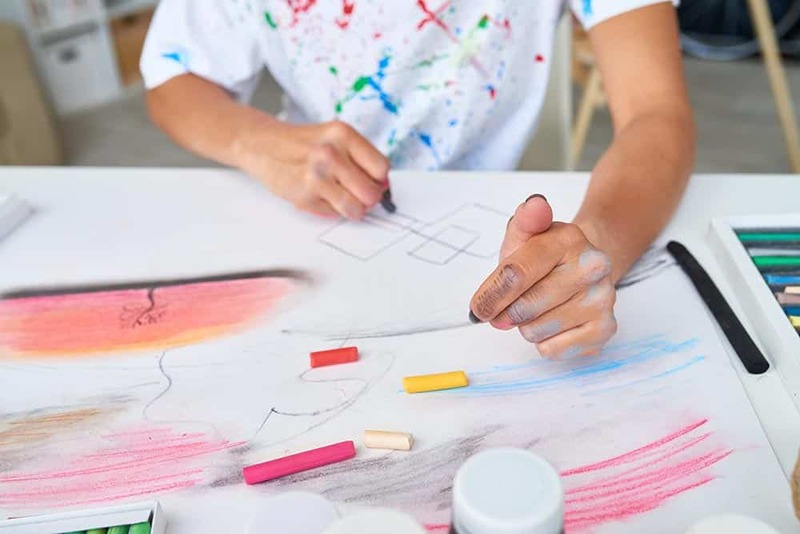 Maker of many student level supplies including easels, acrylic canvases to name a few, they are undoubtedly a well-known name in the world of art supplies. So how does their oil pastel paper pad stack up? Relatively well, with a caveat. With this pad, it’s important to set expectations. Should you be doing a commissioned piece or want uncompromising performance, there are better picks in the market. However, if you are just starting out with oil pastels and are looking for a quick pick to practice on without breaking the bank – then this pad will work great for you. While having a greater tooth and texture than your standard copy paper, this pastel paper by U.S. Art Supply will be able to effortlessly latch onto the pigment and binder of your oil pastels. But given that the tooth of this paper is rather shallow, you will be a fair bit limited when it comes to layering. So, if you are looking to make more involved pieces, you will want to have a workable fixative handy so you can build up additional tooth when necessary. The weight of the paper is a passable 80 lb and should have no problem resisting any sort of tearing with heavy blending. One part of this pastel pad that we really liked was the toned paper. With 4 sheets of 4 different natural (and neutral) colors, you will a great initial base to work with. Overall, this is a budget minded pastel paper pad. Ringing up at about half the price of the premium offerings, this is geared directly to student level artists. This is perfect for just starting out with oil pastels. Primarily known for their drawing and sketching papers, Strathmore has been serving artists in many mediums for over 100 years (established in 1892). The Strathmore 400 Series Pastel Pad is the perfect pick for those artists who are starting to get comfortable with their oil pastels and are looking for a modest upgrade with their paper. They offer one of the best options when it comes to pad sizes. So, if you are planning a massive 18” x 24” oil pastel piece, or you simply want to take a try at one, then the Strathmore 400 series will be the perfect pick. These neutral colors will make it easy to work into just about any piece you have planned. Lastly, and perhaps the most important aspect of any pastel paper will be the tooth itself. Given that this is a slightly lighter paper, the tooth is just a hair shallow. However, most artists found this still to be more than enough to support several layers of oil pastels with ease. Overall, the Strathmore 400 Series Pastel Pad delvers a great value given the performance. It’s acid-free construction ensures great archival properties. Some concern around the glue binding can easily be mitigated by having it mounted to a drawing board or art desk. …and we are definitely not alone! Undoubtedly the best alternative to the Canson Mi-Teintes is the Sennelier Oil Pastel Card Pads. You can easily find the perfect pad to work with any subject you plan on capturing with your oil pastels. Each pad comes with 12 bright-white sheets, making it slightly thinner and limited (both in sheet quantity and tone variety) than the others we reviewed. However, unlike the others mentioned thus far, this pad is spiral bound. While definitely a polarizing option for some oil pastel artists, know that a spiral binding is not only a fair bit stronger when compared to glue, but also won’t contain any acid or other chemicals that could interfere with the papers naturally acid free archival qualities. But there is another reason why this pad is spiral bound rather than glue – for travel. Yes, this this the only pastel paper on our list that is made for travel. 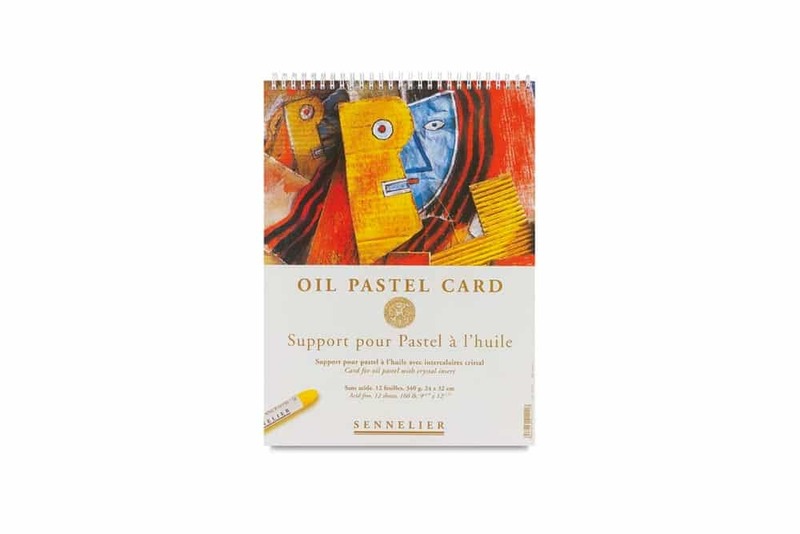 Whether you are using your oil pastels en plein air or simply heading to and from class, this pastel pad by Sennelier is perfect. But another feature, and one that is way more important for travel than the spiral binding, is the glassine inserts. As we have mentioned a few times here in previous posts, glassine is a smooth and glossy paper that can safely be pressed against oil pastel work. This helps to prevent any transfer of pigment or binder off the surface. Secondly, the glassine makes traveling easier as you don’t have to worry about spraying a fixative before packing up. So, you can safely close this pad and continue where you left off once you get back to your studio. Now unfortunately this paper isn’t perfect. The biggest downsides we found during our research was that the lack of tones and price. 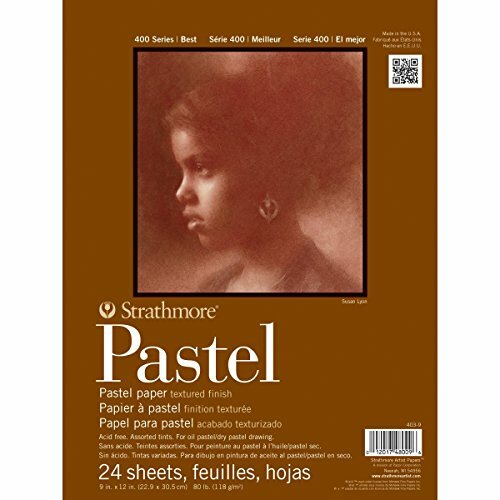 Overall, this pastel paper is the perfect pick for the traveling oil pastel artists. The glassine and spiral binding ensure artwork preservation when not in use. The incredibly thick paper (160 lb) will resist tearing as well. It’s a bit expensive, but definitely worth the price. Unlike traditional cotton or linen based papers, some oil pastel artists prefer working on a sanded surface. The go-to standard when it comes to sanded pastel paper, UArt is one of the highest rated brands that we came across in our research. From scale to grit, UArt simply checks all the boxes on what an oil pastel artist is looking in a sanded paper. All other pastel papers we looked at didn’t even come close. As impressive as the size options are, what makes this even better is that UArt makes all these sizes in several different grit options. So, if you are looking for a moderate 400 grit or a finer 800 grit, you can easily pick up the one that will serve your purposes. 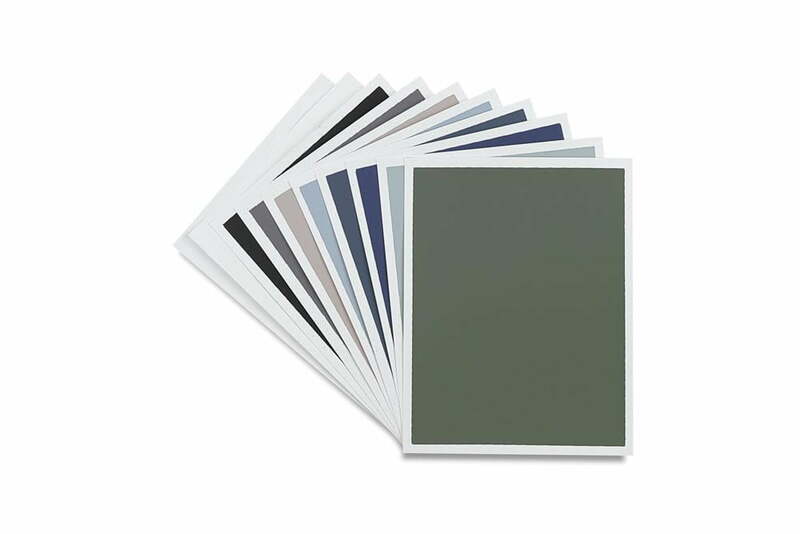 In addition to scale and grit, UArt does offer their sanded papers in two tones – natural and dark. While the tone selection is a fair bit limited compared to others we reviewed, the layering abilities found in this paper should easily counteract this point. Overall, this paper has just about anything a professional oil pastel artist could possibly want – scale, tone, and texture selection. While it’s a bit pricier compared to others we reviewed, the value is second to none. A worthy alternative to the UArt Sanded Paper will be this much more affordable offering by the Australian based company Art Spectrum. With their Colourfix line of papers, we really loved the beginner to intermediate level friendly price tag of $2.69 per sheet (they do offer bulk discounts as well) and the color variety. With 20 different colors, while not as expansive as some of the other brands on this list, you still should be able to find a tone that will suit an upcoming piece that you have planned. Artists with archival qualities on the mind will like that Art Spectrum did use quality pigments and binders when making these sheets as they are all considered to be very permanent (50-100 years in normal display conditions – source) and is acid free. Another reason we made mention to the beginner to intermediate intent of these papers is due to both scale and grit variety. Anything larger you may either want to explore other brands or even rolls. Of course, with smaller scale pieces you can cut to size. Secondly, with grit, unlike the UArt papers, Art Spectrum only makes the Colourfix in one grit type – generally medium coarse. This provides a great tooth that will allow your finest oil pastels to latch on effortlessly and can be layered and blended as well – giving you ultimate control over this complex medium. Overall, if you want to try out sanded pastel paper for the first time and aren’t ready to pay nearly $10 a sheet for other brands, the Art Spectrums are a terrific pick. To help lower the cost, they do offer bulk discounts at retailers like Blick Art Materials. Do I need really good oil pastels when getting nice pastel paper? Not necessarily. A quality pastel paper will bring out the best qualities in even student level oil pastels. However, using a nicer set of oil pastels, think along the lines of Sennelier or Holbein, you will have much greater control over the medium. Given that oil pastels from Sennelier provide a naturally smooth and creamy consistency, a quality pastel paper that has ample tooth will allow you to layer and blend these pastels much easier. Ultimately you will be able to get better subtle effects with your artwork. Is a fixative absolutely required when using pastel paper? For the most part yes. Given that oil pastel paper only has so much tooth to work with, liberal coats of the pigment and binder will naturally fill in the surface. If you plan on adding several layers to your piece, then a fixative will be necessary in order to get a workable tooth for your oil pastel adhere to. Beyond layer work, fixatives also work as a varnish for your finished piece. So, if you don’t want your artwork to lose its vibrancy over the years or the pigment and binder to simply fall off the surface, then a light coating of your favorite fixative will be required. We like to recommend that artists go with a fixative like this one as it was designed specifically for oil pastels. Can you use oil pastels on watercolor paper, canvas, or any other popular surfaces? Given that many artists come to oil pastels from another medium, chances are that you might have some extra surfaces in your studio. If this is the case, then there may be some creative ways that you can use oil pastels on those surfaces. While there is nothing preventing you to taking the oil pastel stick to the surface and seeing what happens, there is some recommend prep work you might want to at least consider. One common product found in art studios everywhere (if it’s not in yours we strongly suggest adding it), is gesso. Gesso is simply an acrylic polymer compound that can latch on to just about any surface imaginable. But one property that we really like about gesso is the tooth and texture it provides. Much like a sanded pastel paper, a layer of gesso can provide a deep-set tooth that makes it much easier for you to work with. So, if you are going with an unorthodox surface, prime it with gesso and see if the results are what you are looking for. Can I use any one of these papers with the other pastel types? Yes. As you will read in many of the product descriptions or websites of oil pastel paper companies, you will find that these papers can easily be used across several different pastel mediums (i.e. soft pastel, hard pastel, water soluble pastel, etc.). What should I use for extremely large-scale pieces? Should you be looking for oil pastel paper that is beyond the scale of those we reviewed above, all is not lost! Many of the higher end companies do sell rolls of oil pastel paper. 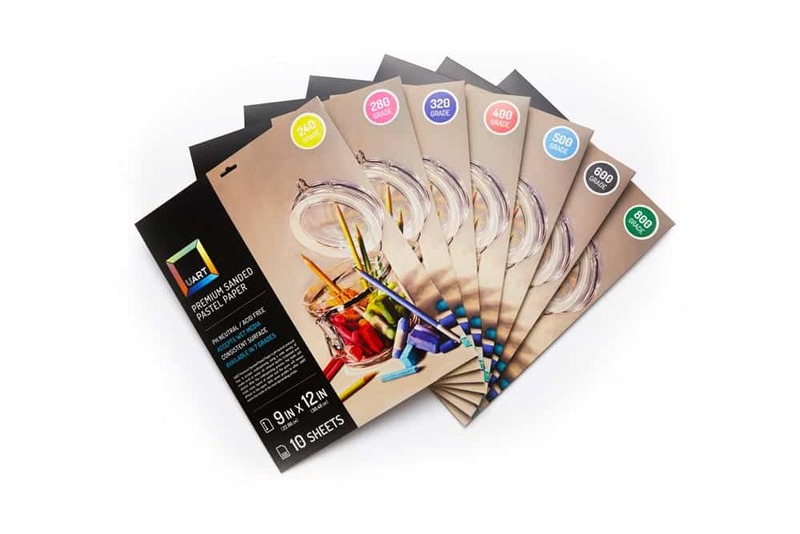 We recommend checking out this section on the Blick Art Materials website for more info. Choosing the best oil pastel paper in 2018 proved to be rather difficult. With so many options at so many different price points, there has never been a better time to be an oil pastel artist. …and we think you will too! But, due to limited resources on our end we weren’t able to review every paper out there. So, if you think we should add one to our list, we would love to know. Please feel free to get in contact with us and share your thoughts (don’t forget to send the product link as well). We hope you had as much fun reading this guide as we did researching!